Lebanon has a rich history as a ski destination, with the first reported skiers spotted on the slopes here more than a century ago in 1913. Despite its global reputation as a hot country, with beautiful beaches on the Mediterranean Sea, the landscape in fact quickly climbs uphill from the coast to snow-capped mountain peaks of more than 3,000m, winning the country the nickname of the “Switzerland of the East”. One practical upside of this is that it’s relatively easy here to spend half a day at the beach and half on the slopes. There are six ski areas with lifts, the oldest of which, The Cedars, located 130km from capital Beirut, opened about 70 years ago. The cedar is Lebanon’s national emblem and it grows in abundance below the natural amphitheatre containing the pistes, the steepest of which has a 61% average gradient. It also has the highest lifts in the country with the slopes rising from 1,950 – 3,086m. Although the resort was established soon after World War Two, skiers had in fact first visited the slopes in the 1920s. Recent modernisation saw three new chairlifts added in a $15 million (US) upgrade, but plans for a new gondola are yet to be fulfilled. 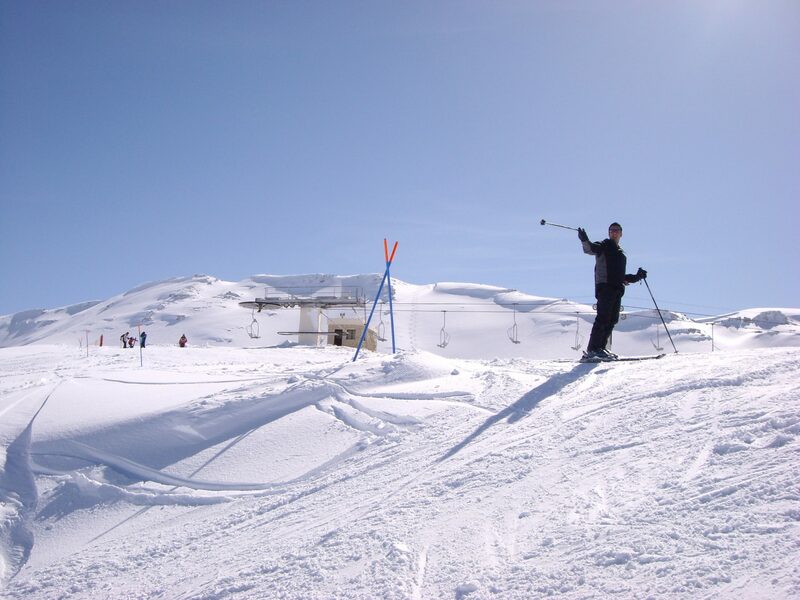 Faraya (which frequently has a rebranding and is currently named “Mzaar Ski Resort”) is Lebanon’s largest resort by some distance with 80km of runs divided into 42 separate trails and served by 16 lifts. It has by far the best base facilities too, including the 5★ InterContinental Mzaar Hotel and Spa Hotel, which is one of the few 5★ ski hotels outside of the world’s best-known ski resorts in Western Europe, Japan or North America. The resort was originally established only a few years after The Cedars in 1957 by Sheikh Salim el-Khazen and was originally divided into the Refuge and Jonction areas, but these were merged with the newer Wardeh sector added for 1999–2000. 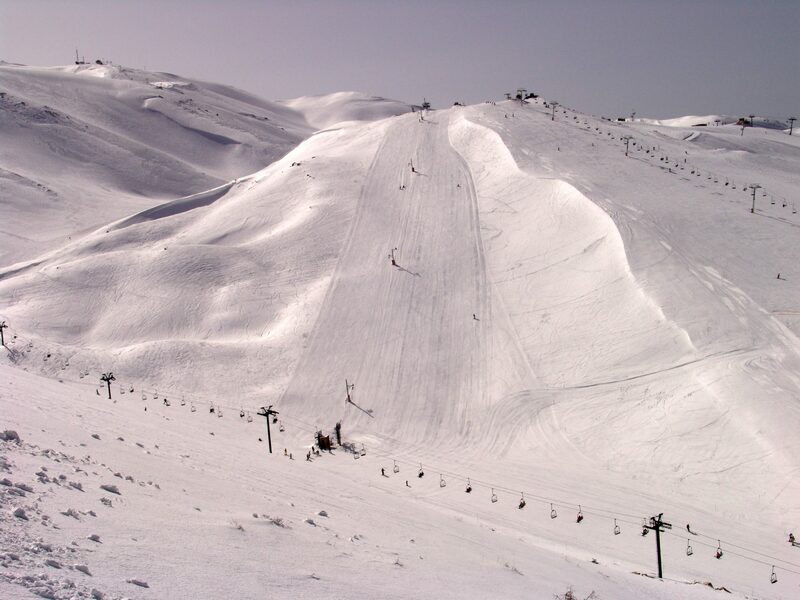 Of the four smaller Lebanese ski resorts, Qanat Bakish claims the best snow quality and quantity in the country most seasons, but Zaarour is perhaps the most interesting, being the closest to Beirut, only 40km away and where the country’s first magic carpet lifts were installed. 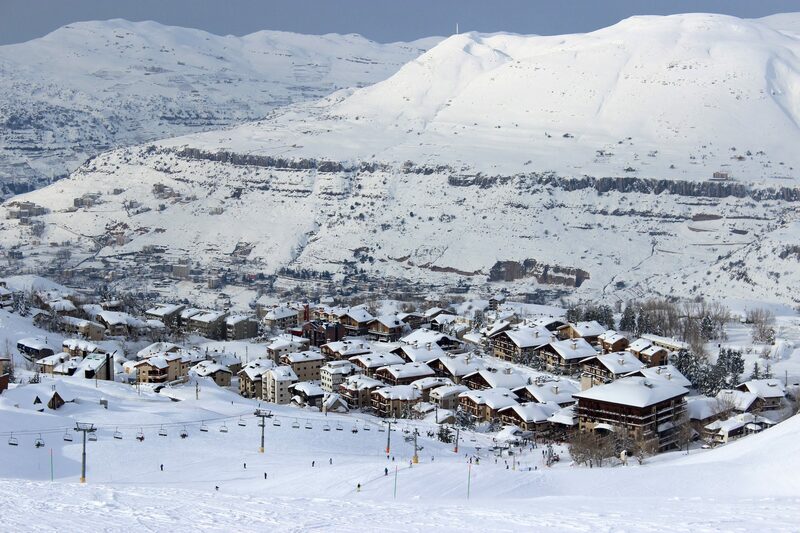 It also has a reputation for the best cross-country skiing in Lebanon.